Dwight “Heavy D” Myers, 1967 – 2011. 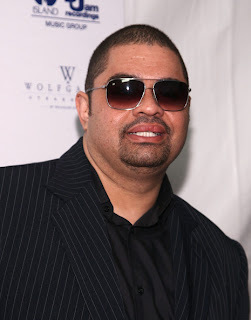 Hip-Hop performer and actor Heavy D died on Tuesday, November 8, 2011, in Los Angeles, California. Another Hip-Hop icon passes away that I never got to see perform live in person. I’m not sure when I first heard his music. Circa 1986 – 87, when his first singles and debut album, Living Large, came out, I was in the eighth grade. I remember a classmate making a passing mention of somebody with a record out called “Mr. Big Stuff”. I didn’t have cable at home, so BET (and, whenever it premiered, Yo! MTV Raps) was out. When it comes to the Chicago radio stations that were my frame of reference for new music, I’m not sure if they were playing the records.